Dawn Rogan Benefit To Fight Ovarian Cancer When: Sunday April 7th Time: 2:00pm to 8:00pm Master Z's Cue Club 2454 N Grandview Blvd, Waukesha $10. VOLUNTEERS NEEDED!!!!! IBEW Local 2150 Electrical Workers Minority Caucus, Milwaukee Area Chapter EWMC International Day of Service in support of Veterans Volunteers needed – Minors are welcome but must be accompanied by an adult. 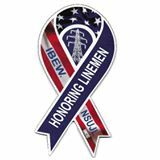 Rescheduled date: Saturday, April 6, 2019 9:00 a.m. to 1:00 p.m.
IBEW Founders’ Scholarship Dear Sisters and Brothers: The IBEW Founders’ Scholarship honors the dedicated wiremen and linemen who founded the International Brotherhood of Electrical Workers (IBEW). Each year the officers of the IBEW are pleased to offer its working members scholarships on a competitive basis. Members, it looks like we are in for another frigid blast early next week. We want to remind all members, whether at work or at home remember to protect yourself from the cold. From now till June 1st children of Local 2150 members in good standing are encouraged to submit an essay for the IBEW 2150/Jerome Ceel Scholarship. Information is in the attached file. IBEW Local 2150 wishes Jim Hunter a long, happy retirement! Congratulations to LLM Gregg Stoudt for his 3rd place finish in the IBEW National Photo Contest. President Bob Stone Delivering a $500 Check to member Douglas Fenninger for his help in organizing Choice Electric.